The South Building at Williams College is the first of two planned additions to the Morley Science Center. 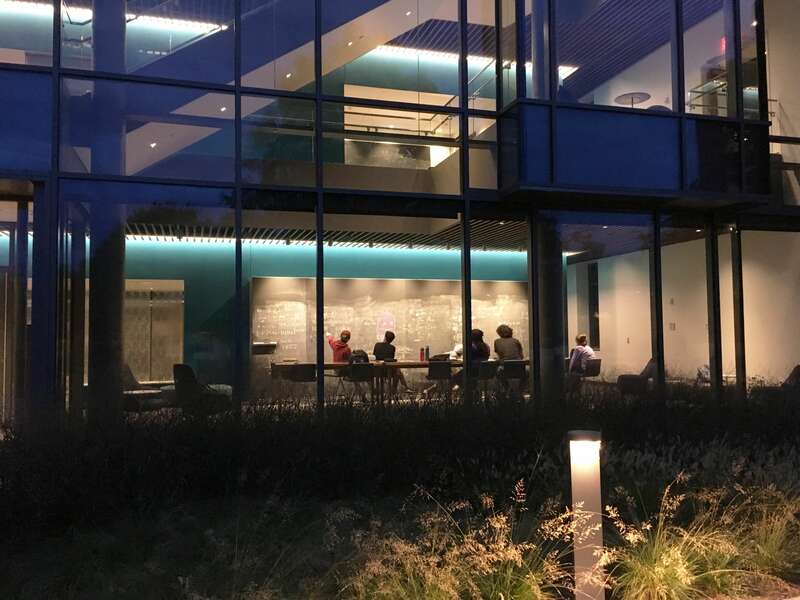 Pairing new biology, chemistry and physics labs and faculty offices with a range of formal and informal meeting and study spaces, it welcomes students into the sciences. The interior concept for the South Building is three pronged: organization, function and student spaces. 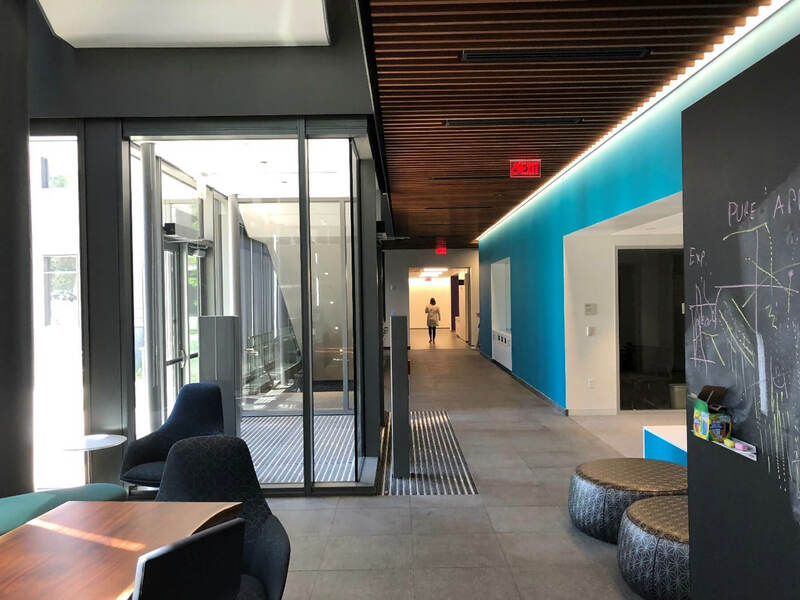 Separated into two distinct bars which are united by color, ceiling treatment and interior finishes, the building separates lab space from office and conference space, allowing for a clear distinction between the two. In both bars, function is paramount. 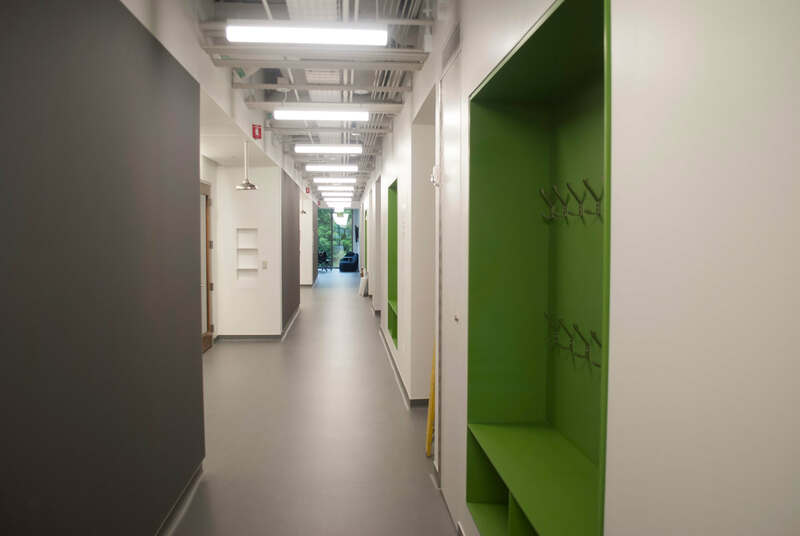 This includes durable solid surface cubbies that house all of the student “stuff” outside of the labs to dedicated pin up spaces in the office area for important notices and informational material. Williams College yearned for more informal student space, especially in the science buildings. These spaces are a variety of sizes, use of conference and soft seating, are both private and semi-private and invite all students, not just science majors, to utilize this modern, vibrant building. We also considered how color is introduced in the building. It is used both as a stimulant and a beacon in the office space to orient visitors. In the labs, color is used more sparingly, putting the study of science at the forefront. Building upon the strong culture of student-teacher exchange at Williams College, the recently completed South Building offers a collaborative environment where learning often occurs beyond the classroom.